Your interview about the people from Metema was courageous I wish if you could have done similar one about the Qemant people. I whole heatedly agree there was massacre in Gonder area. This is a black spot for ANDM. I am convince Ayalew Gobeze or Adisu Legese two former presidents will not have allowed such massacre. Definitely Ato Gedu is failing big time. My hope is the seniors leaders will asses things and see if there is something they can help the new leaders. Shenfa area was no-man-land until recently. The people who settle there to develop the area should have been encouraged regardless from where they come. I am very disturb people were uprooted and targeted. This is also another black spot for Ato Gedu administration. In the end ANDM has no choice but to fix things and lead the proud people of Amhara. The bloods of the Kobele will haunt them if they fail. Glory to the martyrs!! EPRDF in fact has recruited so many member for their respective parties with out due diligence, in this case ANDM has now, new members who came into higher position as leaders of the region. I don’t know if they deserve this position people has to judge for them selves. we have seen in the shinfa area. some of the propagators of the incidence against the innocent Tigray people, are members of the ANDM party and some of them are in the leadership position for ANDM. They turned blind eye. at the end we see them also giving empty lip service, after the damage is done. EPRDF has a home work to do before it is too late. Well, like every region in Ethiopia the ethnic division is causing problem in Amhara region. If EPRDF is to succeed in transforming ANDM has to succeed. I am not at all knowledgeable about the new leaders. If as reported Amhara security officials were involved in the Qemant killing then it is big problem . The area is known for blood killing and am sure this will continue in the future unless the political leaders develop a mechanism for fast healing. It is just sad . You failed to understand the on going process in Ethiopia. I remember you tired to attack Tigray administration last year and they gave you a good lesson. Now you trying on Amhara administration. Your website should be blocked. Why don’t you join your old EPRP PARTY! Zelalem, you forgot to comment on the main topic. Where were you when we ask you to give us your feed back few months back. You can find the thread here. We avail ourselves for constructive criticism always.Thank you. Honestly speaking you are mad on EPRDF, due to the most corrupted “delala” Dawit gebregezaber. You want discuss on Good Governance with constructive criticism and the same time you support the most corrupted delala’s such as dawit gebre trump ?? ?That immediately kills your Credibility ,Where is your stand? make your stand clear either with people or the corrupted ones . Aigaforum used to be my main source but after I saw you supporting few political delala’s, I gave up on you. This is my open constructive criticism to you. I hope you change for a better. good to open a discussion forum like this over the current Amhara administration and the ruling party. However, it would have been good if you set Ethiopian agenda like displacement on the basis of ethnicity in Ethiopia. Then justice would be equal to all. If it works for tigre alone, it is not justice and helps extremists to fix how aiga is working on racism. the intension of this forum seems to assume more racism than nothing. Dear AIga Forum, interesting! how come you didn’t say a word when the Amharas were dehumanized, persecuted and killed in hundreds if not in thousands in the last 25 years, do you think the Amharas are not capable of regaining their self respect and dignity?The inherent right of any Ethiopian to move, work and prosper in his own country was De-legitimized by your government! now the fire is starting to burn “sorry to say this”your kind, you are becoming human right advocates?you are saying the Amharas who were killed with their infant children are not humans?may be it is time to calm down and realize our country can’t afford to continue to go in this direction.It is time to stop inciting outrage any more, you have been doing this for 25 years, and see what is happening.I don’t think the Amharas will be willing to be the puppets of the ruling Gujille,wake up and smell the coffee. Keep up the good work of being a relevant platform to help transform Ethiopia and its people. I believe discrimination based on ethnicity anywhere on anyone is a crime. We need to join hands and fight it before it is too late. Thanks Aigaforum for initiating the topic. It seems that ANDM has been inflitrated and hijacked by sons of the chauvenists who have done everything to nib the EPRDF in the bud in the aftermath of the fall of the DERG regime. They have established a number of gutter newspapers in the name of press freedom, established multiple political parties based on the political freedom brought by the EPRDF, even managed to establish the so called Ethiopian Humaright Council under the guardianship of the gate keeper of neftegna system, profesor Mesfin Waldemar Mariam. However having done all these things those amhara neftegna sons and daughters realized that it is impossible to overthrow EPRDF from the outside. As a policy matter they decided to infiltrate ANDM with thousands their members.And it seems that their policy startegy has worked. The fast growth in number of membership recruit, that has reached to 1.6 million just for the ANDM, brought many unwarranted members to the top too soon and mainly through lip service. Remember, nothing grows faster than cancer! By assigning all their previous comrades from Derg and EPRP and without demanding real change of heart, the movement is in dire trouble. The old guards are being out numbered and narrow minded childhood friendship and networking has built a web of corrupt characteristic groupings in many stances. Religious affiliations, as much as no one wants to acknowledge it is still in operation. There is a necessity of a new revolution that demands sacrifice within the party itself. In the first place this is a very good question worthy of very serious discussion. 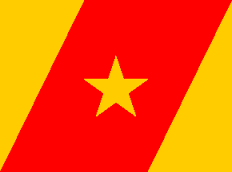 As has been indicated by the author of the article, there are many people in the Regional State Governments, particularly in Amhara, Tigray, Oromia and the Southern Nations, Nationalities and Peoples Regional States, who have been pushed up or dragged up to the higher rang of the hierarchy irrespective of their political stand or academic competence. Indeed there are clear and reasonable evidences indicating that this sort of push up or pool up to a better position without considering capability to the post in the Governmental structure is also true in the Federal Government. This is simply to say that if you have some body in a better position you can be sure to get better position. The only criteria required you have to fulfill is nothing but simply to be a partner in the net webbed by the one who is in a higher echelon of the structure. And obviously this kind of nepotist behavior seems to be much greater in the Amhara Regional State than the rest three Regional States in the Federal System. Because one can clearly learn and understand from all practical experiences gathered of how actions are taken by the government against perpetrators. Many times one can sense that no action is taken on the perpetrators an action which clearly demonstrates that the leadership has been developing , within its ranks,the so called you scratch my back and I scratch yours system of irresponsibility which may eventually lead to reconciliation even with political enemies. As far as one can lean this behavior contradicts the EPRDF political culture of correcting wrong doing particularly culture of criticism and self criticism a scientific way of nipping of problems at the bud. Therefore,in the absence of this culture the end result will always be filling the government bureaucracy with incompetent and politically immature elements leading the whole democratic system to reconcile with remnants of the old political system in other words remnants of the chauvinist Amhara ruling class. This tendency will obviously put the Federal System of governance of Ethiopia in jeopardy. I think this shortcoming, so to say, should not be viewed as a simple technical or political error. It is a very serious problem that deserves attention. The massacre of the Kemant people and the targeted attack against the Tigrians in Shinfa is a clear manifestation of political decay in the Region. I have already said that the newly appointees in the Amhara Regional State Government have been elected not by their knowledge to the principles and policies of EPRDF but their closeness to some people up in the hierarchy so it understood that they cannot stand the propaganda war of the extremists targeted at them. Therefore, such people have only one option and that is to succumb and reconcile with those extremists which on the other hand this attitude will result a negative effect in Ethiopian politics. Recently when APDM leaders visited America and Canada and conducted meetings with people in the diaspora we have been informed that the halls were packed with extremists particularly with remnants of the old ruling class. Very bad. hmmmmmmmmmmm… you still working to disunite the people of the region on the so called “old ruling class”? You know they are not invited to be EPRDF members but to contribute their share for the development of their country. What a shame state of mind you carry on? very sad sad sad! From the protests organized in the northern Gonder against the kimant and other ethnic groups,The Amahara adiminstaration has failed in handling the case and protecting the other ethnic groups.This is not a matter of experience in leadership. but, it is their hidden agenda against the other ethnic groups specially the Kimant and Tigreans in the region.Therefore,they should be held accountable for the crime they commit. Nothing new, the instigator of all these ethnic problems iproblems in Ethiopia is your EPRDF.Ever since the EPRDF got in power theSNNP kiked out Tirgreans and Amhara from Gura Ferda. The Oromo, Gambella and Benishangul did the same thing. I will not be surprised if the Amhara did this time.Tigreans who leave in Shekete now under Afar administration have the same stress.. Ethnic federalism installed by EPRDF needs a big time amendement. While I appreciate your recent stance against the displacement and mistreatment of the 45 people from tigray region by those whom I don’t mind calling vagabonds who think it is appropriate to take actions against their own brothers to avenge for what happened to tens of thousands of displaced and humiliated amharas from western and southern part of our country. Little did these groups understand that it is not the ordinary people who of the western and southern people who pushed the amharas out of their localities or ( kilil ) as it is the political establishment of the respective regions which were trying hard to incite violence between the amharas and the rest. Therefore, your stance against the injustice done to our Tigrean brothers is commendable. while I am still not addressing the issue at hand, let me ask you a couple of questions that really bothered me after I read you article on your website about The tigrean brothers who were harassed and humiliated in amhara region. Why do you think Kassa Teklebrihan was silent on previous similar occasions if not worse while in fact he represents the amharas? Wouldn’t it be more palatable if the parliament was as furious as it did now in its response to Amharas killings and displacement from regions they lived for generations? Do you think those people who think Tigreans are treated way better than the rest are wrong after the recent phenomena? Do you honestly think the amhara regional government is capable of defending and protecting the interest of the amhara people since they chose to keep quite when the amhara lives were were in turmoil for much of the last 25 years? I think you will agree with me if I say the amhara’s lives also matter. I ask you these questions not because I am against of this government in fact I admire and support the developmental effort in the country. I just believe development and human right should go hand in hand so that no more tigreans or amharas are treated as badly as we witnessed it. Now let me respond to your topic as clear as I can.while I don’t agree on your terminology of massacre, let me just leave it aside and focus on the issue. The Amhara government which ignored the plight of several thousands of amharas in the past is not expected to do any better at this time. I actually can’t tell what would have happened if the government didn’t intervene. In short, if the death of 100s during the intervention did stop the death of thousands of lives and destruction of properties, so be it. You call this collateral damage. I hope you are not at loggerhead with Amhara government for personal reason. I think you will get my respect if your approach is” injustice somewhere is injustice everywhere”. I hope you will not doge my sincere questions and you do your level best to answer them without resorting to name calling and trashing it as none existent concerns. Not sure if you have been reading us properly. Aigaforum has been always the voice of the voiceless and has tried constructively to play the game so our people live in peace and harmony. Our slogan is Unity in Diversity. We have tried to live to our mission according to our ability. We do not have the capability to report and investigate everything that happened in Ethiopia. Besides language barrier we also have resource limitation. We cover Northern Ethiopia well but little coverage elsewhere except when we pick up news and stories from sister and other reliable media outlets. That we have been doing. Many media outlets including VOA have covered many of the uprooting you mentioned but none did about the Shinfa/Metema. We were forced to do so after waiting almost six months. You see we are the voice of the voiceless. At this juncture,it does not amount to relevance nor substance raising this issue.There were circumstances that could have been underpinned by the likes of Aiga Forum IF SERIOUSNESS WAS THEIR MOTIVE.Nothing points for holding ANDM accountable for the alledged atrocities of the Tigreans.Similar attrocities have been exercised on the Amharas and Oromos but Aiga kept quite.I wish if Aiga could have voiced verbatim on what Abay Woldu said about the incident of Tsegedie.War mongering and siding to only ones ethnic group is not progressive nor democratic. Dear Aiga forum aka TPLF only forum, I am surprised you are telling us how some Tigreans were discriminated in Gonder? You never told us how the Amharas were persecuted across Ethiopia for the same reason. You never posted anything about the persecution ammhara? you never followed up about the amhara got uprooted and thrown on the streeets across Ethiopia? But you have been updating us about what happened to Tigreans in Gonder? which I believe is revenge for TPLF . The people think Tigreans = TPLF? What you have sown is what you harvest . The public based racism never existed before TPLF.. TPLF created problem. The fact you kept quiet when Amhara were throw on the streets with children and now you are talking about Tigreans? What is this Aiga ? This is shame eko. you have be ashamed for being openly racist and ethicist like this. Tigreans are not better than other others. It is narrow nationalism that the root of corruption. The other thing, you can not solve corruption by compaign because corruption or mal administration can be only solved by law, constitution, rules. So this so called campaign will not do anything good except wasting time, resources. There must be law that everyone knows corruption is crime. It is sad you people think this way of doing business. I thank you dear Aigaforum. Frankly speaking EPRDF is missing Meles Zenawi big time. Had he been here he would have put in print what exactly is ailing the system the way he did during the Tehadeso. I wish he was here for me to ask him what really happened to the Tehadso movement . Tehadeso was supposed to solve the issues we see today be it in Amhara, Oromia or Tigrai. People with clear conscience and people who understand the developmental state were supposed to take the seat of power. Instead we are faced with leaders who can not solve issues like the Qemant and Wolqayit and Oromia. It is failure of the leadership if people are killed you all! We need leaders to analyze and develop a theme or guideline how to address the issue and how to train cadres. Like you I am too worried about development in Amhara. Not sure what the Adisu, Beteket and Kassa’s are waiting. I am not sure what the TPLF top brass are waiting . Can’t they see the danger developing? How is it extremist like Jahwar and g7 are able from far distance to plant agents to cause such killings? Really time to wake up! The military and security may not be able to stop the killing all the time. What will stop any killing in the future from happening is if extremist are checked in time and are denied a fertile ground. Any killing will create more fertile ground for extremists to to continue their sinister plan. As far as I am concerned a corrupted regime cannot weed out corruption. EPRDF especially TPLF is the most corrupted organization in Ethiopian political history. All the mascaras in Ethiopia from Gambelia, Oromia , Gondar, Somali , South and other regions of Ethiopia is due to the divide and rule of the So called EPRDF incompetent leadership . Corruption is TPLF/EPRDF and TPLF/EPRDF is corruption, we cannot see one without the other. Corrupted cannot get rid of corruption. you better cuddle with the current leadership of ANDM. Otherwise judging by the true feelings of the gonderes and north Wollo, EPRDF may not find any friends in amharas if ANDM is forced to assume a different stance. Remember what happened in oromia in recent past when the people feel disrespected. No amount security force or federal police can stop what happens if people decide to take the law in their hands. Therefore, please stop playing with fire unless your intention is to provoke ANDM officials and create a rift in EPRDF by your unwarranted slander and disrespect. Ethiopian situation requires from all of us to be respectful to one another if we wish to focus on matters important to our country. claiming that TPLF put current ANDM officials on their feet tantamount as saying current or past ANDM officials did not have any contribution during the armed struggle which is absolutely not true. For your information, way before the armed engagement, the amharas are the once who played the leading role to bring down King Hailesilasse and later DERG. BTW, why is ANDM officials scrutinized here on this website when you have your own problems that needs your involvement in Tigray? The Amhars don’t need your crocodile tears since we are more than capable to solve our problems if any. As I read from some posts here, i understand there is a hidden agenda of creating a rift between ANDM officials through glamouring one group and condemning others. I believe ANDM officials are way better than you think and this tactic will not succeed. I do recognize the Amhara and Tigrai people are one and the same except for their geographic locations and have a prominent contribution in making up the current Ethiopia. My point is clear, the current leadership of ANDEM from top to bottom is missing the ideals of EPRDF and are being dragged into the ponds of vociferous diaspora extremists. I am concerned of this behavior because I recognize that ANDM’s position has significant impact on the continued viability of not only EPRDF but also of the current Ethiopia. I am forwarding this because elements with in ANDM are playing with fire which will have serious repercussion to the stability of Ethiopia. They need to wear glass to see far. Simachew,, Haile,, Mandefro:– Be your self & have a courtesy to be proud of your ethnicity. Don’t act as if you are Oromo or Amara. You are entitled to your opinion as long as you don’t cross the webmasters rules & line. semenawi, I missed your point. where have you read in my article which remotely showed that I am not proud?. The issue is not about pride as it is the rule of law. Within the last 25 years, thousands of Ethiopians have been displaced, dehumanised, and massacred because they are minorities in an Ethnic federal state where the majority could do anything. More Amhara have been killed and displaced because of their Ethnic background. I am not saying this justifies what happened in Gondar. I am saying, people in power are playing with fire and this time it is burning their hand. ANDM is catching up with the tribal philosophy of its mentor, the TPLF. In short they have started to become Amharas. Like the Tigreans, they are, for the first time standing for what they perceive is the interest of their constituency. Amharas were being pushed left and right. They were made targets of all kinds of tribal cabals everywhere in Ethiopia. Now they have themselves turned out to be big time tribalists. Welcome to the new game in town. It distresses me to see things turning out this way, but I understand that this is the logical progression of an ethnic based politics preached from the Palace. Blame the carriers of the tribal virus, not the victims of the malice. First of all, I like to say thank you for your hard work and commitment in bringing us reliable news, which is hard to find nowadays. I believe people started to talk about this issue after you started to give it the attention it deserved. You see, there was news everywhere about the amhara displacement, but none about the kimant and tigrian. You saw the need, you gave it coverage, now they are criticizing you. To me you gave voice to the voiceless however, the people who were silent on purpose are getting restless. They are starting to compare apples and oranges so to speak. They are asking where you were when the mahara got displaced, but the million dollar question should be, where were they when this story was hidden for six monthes? I didn’t see any complaint for the story not been covered by the media for six months long. Again forum, keep informing us. We know you will be fair us usual. We Ethiopians are stronger together! We can not live one without the other. Peace will prevail! ! Already the ANDM party has been infiltrated with G7 ideology thinking and dergs mentality. how do we know ? look at their action, look what the ANDM leaders have done when innocent civilian get killed, they turned blind eye. In the name of recruiting new ANDM members they have recruited huge number of G7 sympathizers, previous derge regime members, who have deep hatred against any one out side amhara ethinic group. EPRDF has to see, deep into its organization as to who is doing what? ANDM has a big network/ association with the extremist ideologist. The intelligence people has to do their work better. What happened on some Tigrians in Shinfa-Mettema wereda is not acceptable and should be condemned. However, I have a serious question for Aiga Forum, the Pariliament and the so-called Ethiopian Human Right Council. where have you been when 40 thousand amharas displaced from Benchi-Maji zone of the southern region as well as thousands from Benshangul-region? Did you write a single word at that time? Why the socalled Ethiopian Human Right Council didn’t include a report on the genocide of the people from Welkaie-Tsegede since TPLF annexed the area by force? Is it just because this time they are Tigrians affected that you are writing day and night? We heard from Aiga Forum that Kassa T/Birhan was in tears because some Tigreans displaced from Shinfa. Why he was not willing even to talk to those displaced Amharas while he was house speaker? The answer is very clear that there is one law for Tigrians and another for the rest of Ethiopians in the EPRDF regime. Regarding to the current Amhara region leaders, what I can say is they are better than those EPDM leaders in the past. Unlike Addisu, Tefera, Taddese, Kassa, and bereket who are simply messangers of TPLF, the present ANDM leadership are giving priority for the people in the region. That is why most of the ANDM cadres are on their side. You may not like it, but Ethiopia is a creation of shewa Amhara . The most successful nation in the world are one culture or one culture dominated society/civilization. In all the history of nation or kingdom, there has never been a single country in the world who have excel in anything without harmony (single culture or a single culture dominated society). Name a single nation or kingdom (now or in the past) which is successful without harmony? 2. abandon the “Behare-Behere-soboch” agenda and reinforce a single culture (one language for all). I know this is not an easy task to do, that is why I favor to break the country apart and restore Abbysinia. 1. Amhara Region is one of the least corrupted most democratic region in Ethiopia. The people and the government do not care from where you come from or what your ethnicity is to make you their neighbor, hire you, marry you, or appoint you as a higher official. It is kind of little old Ethiopia in this respect. Corruption is to the minimum, projects are implemented relatively with better quality, and regional officials do not have a shining wealth as we know in the other regions. What is good governance? Is it not about how you govern the people? If so, Amhara region is less of a problem and more of a good example for the others to emulate. I am not saying there is no problem at all, what I am saying is it is not as bad as what we see in the other regions. 2. Amhara Region officials are caught between two forces: TPLF and the Amhara People. TPLF, as their policy and practice shows, see the Amhara people as their historical enemy. You know what follows once TPLF label you as enemy. TPLF have been using ANDM as a tool to do what they do in Amhara Region. No people in the region is detached from its elites as in Amhara region and this is by design. No region is robed its people, land, property, and money as in Amhara region. And some of us in ANDM know what is in store for Amhara and Ethiopia. The people know TPLF is not good at all from the very beginning. Only colonialist can do what TPLF is doing to the Amhara people. The people are saying enough is enough. What can ANDM do in such situations? You know it. 3. Why is Aiga making this move now? It is because TPLF want to disrupt the present leadership in the region and complete its unfinished business: grabbing more land, looting more resources, further weakening the economic and political power of the people. a. The Abay Tigray plan is not dead, it is alive. In fact if you evaluate TPLF’s recent moves in all aspects, including the fight with Eritrea, it shows they are getting closer. b.	Amhara, with its “Ethiopianism” stand, is considered to be the existential treat for Tigray. ANDM is the only organized force who might attempt to protect the people from TPLF’s assault. Strong and undivided Amhara is not going to be a good neighbor of Abay Tigray. c.	Removing Amhara centered ANDM officials and replacing them with third rated people like Alemnew and Mekonne will give TPLF the upper hand to do what they want to do. The old guards of ANDM are now being threatened by TPLF to be their vehicles once again to get rid of the progressive ANDM leaders who just want to play by the book. a. Why you were quiet when so many Amhara were killed, displaced, and looted in the past? b. Why you want to exaggerate this instance now? c.	Why some of TPLFits are openly advocating for Metema and Quara to be part of Tigray while they are living in the Amhara region as an Amhara? d.	Why people like you well educated (AIGA) supporting fascism? e.	Why people of Tigray origin cannot see the other Ethiopian eye to eye in the West? If you ask four to five times “Why” in answering each of the questions above, you will arrive to the same conclusion I have: TPLF (not ANDM) is driving the Country into disaster. 5. So, good governance is simply a cover for Zemecha ANDM. ANDM must stand as one and fight TPLF’s move. Any reform that comes throght Zemecha ANDM is not good for the Amhara people. The people must stand with ANDM at this crucial time. We don’t have to allow further division. We have to protect those target individuals in the ANDM leadership. We don’t have to allow the Militia to be disarmed as they propose. We don’t have another land to live as people if we lost this war. Fight for yourself, for your children, and for our history! Enough is enough!!!! I applaud your effort to cover this issue, which was ignored by every body for more than 6 months. your coverage is so unique, and diverse. Don’t conform to those extremist propaganda, be independent and continue the good work. Aigaforum gives voice for the voice less. For the amaraha’s they have so many mouth piece to cover their issues, with lots of exaggeration, like the so cold ESAT, VOA,…..so many self appointed human right activist/bloggers, I don’t know where were they during the derg regime? all of the above media and bloggers, they don’t even give a chance for opposing views. Here in aigaforum at least their comments is not deleted or excluded. aigaforum is teaching every body by example. The Aiga Forum is doing marvelous job. Keep it up. The truth triumphs at last. The Amhara Admnistration has a lot of challenges to do with the extremists abroad and inside the country. I am sure the administration will get all rounded support from the other regional administrations to come out victorious and bring peace and harmony among the citizens living the Amhara Region. The Amhara Administration should pay compensation to the displaced people. Ademe Adamu, kkkkkkk sleepless in Asmera, ha? I feel your anguish! You seem to know the fact that your retarded and ageing wedu Afom is scared shitless and blabbering his usual “Weyane is coming after me” mantra. But do you think any individual from ANDM will save him? Think more! Actually, if any, some OPDO_ SEPDM_ ANDM_TPLF-EPRDF individuals may be getting increasingly interested to see what “Abay Tigray” could do more than the current Tigray to transform Ethiopia. Stay tuned about this rapidly developing “Abay Tigray” issue. LOL aye neger halayat shabia ! You will remain to be our laughing-stocks until we bury you 6ft under. Your eternal master, Abraha Weldegabir Weldegebriel, aka gebel lemalmo, descendant of Nigus Wuhbe. First of all, I would like to say thank you for your timely response to my questions. I know you overlooked some of my questions and I understand why. You just have to play it safe. I respect that. Now, would you mind asking the ethiopian human right commission what has been done in the past when the same thing happened to the amharas? the reason I am asking this is as iggregious human right violation as it was, it is just inconcivable to think neither the federal nor the regional government officials responded to what happened. I don’t want to blame them blindly if they actually done something about it and I failed to read. In which case the blame is on me not on them. If there is something aiga is aware of, please let me and your esteemed participants here know about measures taken in the past. That will clear the sense preferential treatment. If AIGA doesn’t have such info. would you mind asking the respective officials why nothing has been done in the past for similar crime. I truly believe your journalistic license would allow you to ask such basic questions to any official without any risk. Now , let me take you to the current rumors circling around. As the rumor goes say it, there is a huge rift between ANDM and TPLF officials since they disagree on wolqait and other national issues to the point presidents of the two regions can’t see eye to eye. Most people think the current ANDM president refused to be tossed around unlike previous presidents and it has become a problem for TPLF officials who used to have a free ride and sort of getting what ever they asked for during Adisu on the helm of power. Why I am raising this issue for you is that many people think your website is identifying with disgruntled TPLF officials to attack the”unrully”ANDM officials. What is your take? Based rumors flying around It turns out the current ANDM officials are as content as TPLF people are and refused to accept everything thrown at them and started to respond in kind. I think for the sake of mutual peace and understanding the officials should accept the current reality, respect each other and work together in those areas which need the cooperation of both regions without contempt. As you rightly said, ANDM has a new generation of leaders who have their won way of doing business pertaining their regions and the people of amhara without knocking at the door of TPLF officials to ask for approval. This kind of rocky relationship should be expected since most of the TPLF officials are from the older generation and it is acceptable if the younger ANDM officials decline to accept and continue business as usual. Otherwise change will never come unless intra or inter-generational clash of ideas takes place. Are you an operative or simply a contrarian person? What are you trying to argue here? Are you saying the commission or aigaforum should not highlight current wrong doings because you assume they did not say anything when amahra were displaced in other regions? You want the commission to remain silent when over hundred people were killed? Man argue based on the merit of the issue at hand first and second if you want raise another issue that should also get coverage…otherwise you look foolish to argue two wrongs do make right! We are commenting back since we know you are from Ethiopia and may be an operative– which is fine with us. I am very sad if any thing happened on my compatriots regardless of their native language. But I am a bit surprised while you ask comment on such issue; where were u when it happened dozens of times on Amhara in the last 25years? If EPDRF means a go-mark for killing Amhara and a red-line for killing Tigrain, then you are right. I think young ANDM members knows how their brothers are targeted ruthlessly in other region and frustrated being a member of EPDRF. In todays Ethiopia, good governance is absent almost everywhere and I expect the worst is to come based on what I see in different regions. not only on Amhara but also on Tigrains will be fully targeted. Gun can not protect any race-but love, justice and commonsense thinking does. So ANDM and other EPDRF member parties need to look into the problem in depth and come up with a viable solution for all of us instead of crying for Tigrians alone. It is time to focus on bringing justice to all Ethiopian people and guard Ethiopia from external manipulators and masterminds. The timing is not right for such discussion. If you need a subject ask the public how could ESAT operate globally where is the fund coming from what impact are bringing among Diaspora and how could we prevent our brothers and sisters are not consumed by hatred politics and used by foreigners, should be the subject than feeding two extreams. In tidy’s Ethiopian politics fear and intimidation will have no value over equality of Ethiopians, in all aspects of Ethiopian lives, only tolerance and good governance, even if it is slow change but surly we will make a change..
whether i am in Ethiopia or outside shouldn’t matter. I don”t even understand why you raised my whereabouts. i said in the beginning of my statement that it is commendable on your side to bring the issue and fight for the voiceless. But you should do it for other Ethiopians too regardless of their ethnic background. that is all i said whether you like it or not. fairness doesn’t stop on you doormat. if you wait until injustice knock at your door, it is your fault not to respond earlier. you raised an issue i commented on it. if your intention is to try scare me and think i will be scared by your labeling, you can’t be more wrong. i have no intention other than getting at the bottom line. Please ignore those negatively charged people and do the right thing as you have been doing it for a long while now, I believe discrimination based on ethnicity in our beloved Ethiopia is injustice and for that matter anywhere on anyone is a crime. We need to create a team work effort and fight it before it is too late. Aigaforum, is the voice for the voiceless and not sure people like “Haile” are being bothered by the effort Aigaforum is doing ? which is exposing the criminals.? It’s really a shame!! Thanks Yared , will do! Aiga for sure doesn’t have “a resource” to cover when thousands of Amhara got evicted, massacred, dehumanize all over the country for the last 25 years. Yeah! For sure, either Aiga doesn’t have “a resource” to report when 50:000 people of Welkite demand their constitutional right or they all are “Yedro -Serate Nafaki” right? Aiga, do you really think for a second that people have on clue who you are and what you’re for? Do you really think the status quo will continue as long as divide and conquer is intact? You have been race betting by using some sugar coded words ( Nefetega, Temeketega, Yedero Sirat Nafake…….) against the people of Amhara who fought for the unity of the country and paid a dear price. Now, all of the sudden, you’re disappointed by Amhara???? I can tell you with a certain term that you have well-informed about the hardship of Amhara people for that late 25years for the system has installed by your kinds. In my opinions, it’s a vial to understand that that our survival has been in danger, directly and indirectly. Amhara ought to organize to counter it. I know, still some Amhara young generation don’t have an appetite to involve in Ethics politics, but I don’t see any other alternative, if you wish to survive in that country. Gudu, read our snippet comment to others before you about why and when we report on issues. You too seem lost in getting the message! Save embarrassment and do not pretend you are more Amara or Tigraway than us! Do not fool yourself you care more than us about Ethiopians in general! Thanks. Seweye, I’m not a politician; I have never taken part in any shape and form. Nor do I calm to know anything around it. But I saw and experienced a system that is unfair, racist and dangerous for me and entire generation. And you’ve been supporting and encouraging this system. You see, it would not have been my business to respond for your taking point or your political perspective. But brother, this system and the view that you’re promoting has been toxic for ordinary people and we are paying high price for it. You likely have no idea what some Amhara have going through by racist bigots who doesn’t represent anyone or any ethnics group. And here you’re talking about Amhara reginal state good governance and an accident that shouldn’t have been occurred on the first position. Do you possess any idea what Amhara people gone through in some part of Ethiopian specially Oromia regions? Do you? Allow me tell one think which I believe you may not familiar with, In Harar, Amhara have evicted systematically form their home, neighbors, and killed and much more. Today, the whole city of Hrar has become ghost city. Thanks for hate politics. You’re hardly in your comfort zone sipping something and talking about this system that created a lot of psychopath and haters. Haile, at sahsah halay shabia wedi banda, please stop worrying about the non-existent, so-called “Young and unruly ANDM” and, instead, you should tell us what your coward leader wediafom is freaking about. Do you know how much he is scared to death about what he calls “massive military preparation by US of Africa” ?. He is scared shtiless! By the way, “US of Africa” is a newly minted shabia jargon designed to replace the good old “chifra weyane” qualifier. In other words, “US of Africa” is an upgraded euphemism replacing “chifra weyane”: your eternal Tigrean masters acting in unison against banda shabia. The invincible weyanes, who saved shabia from assured destruction in the 80s and brought it to the gates of Asmera in 1990, are definitely capable to destroy shabia once and for all.The only question is if they are willing to do so. Lets be patient and watch what happens next. Abraha weldegabir weldegebriel, aka Gebel Lemalmo. Patience is a virtue finally ANDM has only started to free itself from enslavment of its masters.it has humiliated by extension the people of Amhara for the last 40 years it is long overdo the new generation leaders stand for the people of Amhara.it was ruled by none Amharas like addisu legese,berket Simon,tefera walewa and others.the new generation is growing to be a more aggrasive Amhara nationalist which is good and given the overall strength of the people it has a much better opportunity to survive. I don’t support displacement of any Ethiopian from any part of the country. But what I see is that there is a choice whom to deport and whom not. It is really bad for our country. Why you guys didn’t talk this much when other people displaced badly in a large number from their places before? Why you did’t ask to remove the regional administrators back then? You know what? There is no more double standard in that country whether you like it or not! No one has to be displaced from their home including Tigirigna speaking people! But please forget demanding special attention only for Tigrigna speaking people rather think about whole Ethiopians civil rights and good governance. Period. Please do not be so naïve! I’m surprised to see you addressing the many shabia intruders as Ethiopians. Shabia riffraffs such as haile, gudu kasa, Axsumawitt, ademe adamu etc, who are flooding your blog masquerading as Amaras/Ethiopians, are simply trying to make ANDM look like it is infiltrated by the neo-dergue riffraffs, the parties of bado guregnoch/empty boasters- also known as timktegnoch, such as G7 and its sisterly cult organizations. The good thing is we are freely witnessing how these utterly desperate people are making themselves the world’s laughing-stocks. Really, for example, if they think their new-found hysteria about welkait will hold water, they must be funny- albeit of the delusional, psychopathic types- to say the least.The truth is , however – and they know it, welkait was a bastion of Tigrean nationalism since time immemorial. Actually, today, everyone knows, welkait and weyane are synonyms. As far as what was where during feudalist Abyssinia, suffice to mention the era of Zemenemesafint, during which the first ethnic boundries in Ethiopia had taken solid shape. At that interesting time, which spanned over 70 years- ( longer than Minilik and Haileselase era), the state of Tigray included everything North of Alawaha river- plus the entire tslemti, the entire tsgede- shomonte maibet, the entire sabba welkait- including parts that are now in Sudan, the entire Tahtay Armachoho, the entire Merebmilash- including the Red Sea coast. Do not forget also, that, during Emperor Yohannes, who is reputed to be the first Ethiopian federalist, the entire begemidr, Dembia, Simien, Seqota region, and all of Merebmilash were parts of the state of ‘Zufan’, which stood as – and was used for- an imperial, titular name of Tigray. Mind you, Emperor Yohannes appointed rulers in various parts of Ethiopia- including king for Gojam, king for wello, king for Shewa, etc- but he did not do so in any parts of Zufan; which, obviously, he considered as the seat of the throne, the original domain of his kingship. Therefore, as you can easily surmize, the present day Eritrea and Gonder were parts of Tigray for the greater part of Ethiopia’s formative ” modern history”. Even my own greatgreatgrandfather, Nigus Wuhbe of Tselemti-Tigray, had ruled most of Zufan – Tigray and its sattelites stretching from Suwakin to Rasdashen to Alwahaha and more- for over 30 years. Of course, during the ancient times, everything in Ethiopia (and its far- and near- environs) was the domain of the magnificient Axumite Empire. You guys from Aiga forum !!! You raised an issue which is your illusion about ANDM and people of Amhara region. Who are you to judge the veteran and the new leaders ?? Do you think that the prime Minister and his cabinet members are not leading the country since almost all are new who didn’t participate in the armed struggle ? Do you think the the new leaders of ANDM are siding the extremists ?? If so are you going to recommend to import any leader from some where who fought the Derg during the armed struggle? Who do you think brought the over all developments in the region ?? All your points are night mare which emanated from your supremacy mind which undemocratic and narrow mindedness. Please tell to your masters in Mekele time has passed to be treated un equally in the era of democracy. You are igniting fire and taking the country in a wrong direction. The new generation leaders of Tigray, Amhara, Oromiya SNNPR, Gambela , etc will not serve your purpose. Be responsible !!!! Time is over !!! Do not bother about Amhara and ANDM. I decided not to respond any longer since name calling and labeling people as operative, shabia, and contrarian has started by the admin himself. I don’t want to throw myself down to that level. I understand there are two kinds of people in any discussion those who respects their opponent and refrain from getting personal. they just don’t get imotional and they stick to their point and accept if the other idea is right. There are also those who don’t want to listen to different views let alone giving a room for flexibility. when they have nothing in the tank, they resort to silly things like labeling, intimidating, and name calling. In short, they are morons to the core and have no place in this kind forum. over time, I observed such people from both sides of the political spectrum. oppositions and supporters alike. Abraha woldegabir looks for an easy way out by labeling people with different views as shabiya stooges. when their opponent is tough as hell, then those who have nothing in their tank opt to namecalling and intimidation tactic to silence them. whether Wolqait is in gondar or Tigray, it wont make a difference in my mind as long as the local people are given a chance to decide on which side of the border they want to be. that is as simple as that. The likes of Abraha refused to listen when we said ethiopia needs a port, eritrea was and is part and parcel of ethiopia. He was allergic to any ethiopian history. We were labeled as neftegnas, and war mongers. Now, he and the likes have the audacity to try to mention the same hx they refused to listen for the 25 years in order to convince us why they believes Wolqait is part of tigray. Like I said, i am glad to see wolqait in ethiopia not in eritrea. that is all what matters. Mr. Abraha, you shouldn’t be worried about whether i am shabia “operative” or not. i spent much of my life fighting against narrow minded people from both sides of the political spectrum. I also fought shabia with equal determination. You can call me anything but shabia. the extremist are still calling me Woyane stooge while the woyanes call me neftegna, yedro sireat nafaki, bla bla bla. Therefore over my lifetime I am used to be labeled but I remain true to myself. I speak my mind and go to bed with clear conscious. I don’t succumb to foolish propaganda of any one. You have to be way better than me in the manner and content of your argument to get my respect since I only value ideas. Yes I am in Ethiopia and from Ethiopia. I don’t like a bit the label you gave me as “operative” . I believe if you are brave enough to stand for one group of ethiopians, you shouldn’t have failed to do the same for others. Those people were failed not only by the Media including yours but also by their elected government officials at different level. I tried to reflect that fact to you and your respected readers while admiring your action to defend the recent victims.I don’t think labeling and exposing your participant’s whereabouts without their consent is ethical for any website admin. Last but not least, thank you for posting my comments without censorship. The perpetrators of this heinious act should be brought to justice and officialy get what they deserve. That’s how good governance is exercised. I thinks the ideas we throw are with the intention to help the leadership of Amhara Regional State and ANDEM to take lesson, to let them know how we perceive the mechanics of their leadership and political skills. The argument by the discussants in this forum that why should the administration in Amhara be now be point of discussion while similar maladministration and massacres to Ethiopians had happened in other regions an recent past can not serve as an excuse for not holding accountable the perpetrators of the brutal treatment of Quimants and Tigrians in Gondar. First, crime is crime. it can not be excused because it was not discussed in Agiga or elsewhere. Secondly, I place ANDM an organization at a relatively higher echelon of political stairs with an acumen of strategic and tactical know how of the Ethiopian politics and it should not allow this image to be tarnished by its fledgling cadres. ANDM is the founder of EPRDF and should be the vanguard of its political ideals and should not remain passive when ideological principles and political building blocks of EPRDF are being dismantled by its members as witnessed by the incidents in shinfae and Gondar. ANDM it should stand to the interest of Amhara and Ethiopia. If however ANDM fails to identify to recognize the point where to strike the balance between the interest of Amhara and Ethiopians, then it will be a disaster to all of us. If it allows itself to be lead by hatemonger politicians and extremist diaspora whose political philosophy is guided by the principle of ” all or none” instead of rational and civilized discourse, the result will be destabilization of Ethiopia. Therefore, ANDM should play its expected role of leading EPRDF. It should not degrade itself to the kind of politics in the 1970s which did not benefit the country. Your argument that the Massacres of other Ethiopians in the past has nothing to do with the present displacement of few Tigrians is very irresponsible. As the saying goes “Those who fail to learn from the past mistakes are doomed to repeat it.” By the way, no body argue that the displacement of few Tigreans from a very specific locality in Mettema wereda was right. We all condemn it. However, forget the past that thousands of Amharas massacred in Bedeno, Arsi, Benchi-Maji zone, even as we speak of, hundreds of Welkait-Tsegede origin Gonderes are displaced from their ancestral land of Humera, Mai Kadira and Dansha. Please do ask very known welkaite farmers like Ato Biresaw who is forced to leave all his land and property from Humera very recently just because he is Welkaite. This is just an example. Therefore, what some of you are trying to tell us without shame is whatever happened in the past on other Ethiopians, Tigrians should be treated differently because as George Orwell said ” all animals are equal but some animals are more equal.” It is shame on you!! This thread was created for a simple reason. That is, to make sure those of you who have knowledge about the political and social development in Amhara region can share what you know about – what is ailing the system and what is working well. As you are aware to-date the region has seen less civil disturbance and none what so ever ethnic conflict. We pray it remains so for the foreseeable future! The recent debacle in and around Gonder and the displacement in Shinfa is a legitimate concern for those of us who wishes the betterment of our people! Somehow things got out of hand and people are killed. And we wanted to know why, thus, why we opened the thread! Some of you thought this was an attack on ANDM and the new leadership and some of you thought we were playing the ethnic card. Far from it. Aigaforum has been supporting EPRDF from the get go. When EPRDF needed support we were there standing tall in the front-line. Funny those of you whom we defeated squarely then are now crying foul on behalf of ANDM/EPRDF! We are glad you joined the ANDM bandwagon and hopefully you will also be on the EPRDF bandwagon soon, but, trust you us, you can not be more holier than the pope on this one! EPRDF needs to brave it out and solve what is ailing the system today! Who knows the problem may be that the late comer supporters and members alike are the one causing it to decay! Otherwise how can anyone from the leadership feel comfortable by the events that happened in and around Gonder? Some of you complained why we covered the Shinfa incident and not other incidents elsewhere. It is hard to cover all incidents for us but we have been covering incidents and good governance issues. The reason we wanted to highlight the Shinfa issue was it was a watershed moment for Ethiopia’s new federal system. If the Amara and Tigrai are facing such issue it is worrisome! These two people are inseparable, they lived and died together, build Ethiopia together. Unless some bad apple politicians have taken the upper hand it is unlikely these two people regardless the number involved in this displacement will treat each other this way. It is time for the federal government to enact new law if it has too to protect minorities within a Kilil.It is time for EPRDF to come hard on rouge leaders and discipline them. Do not let demagogues and narrow nationalist leaders take the helm of power in any region. Allowing such leaders to take power would undermine the unity of the country. That is the message we wanted to share with the government and readers. Thanks for this opportunity to have free comments on the matter which is created by irresponsible citizen of the nation. No matter that TPLF and ANDM have the some starting and the some ending. But from the old history the relation among Ethiopians is clear no more war aggravation due to the linguistic and other issues particularly when we come up the relation between Tigrain and Amhara have never seen any disputed and nature enemies unless the leadership for their own target on the past history. But it had been shown some misunderstanding. When we come to the actual situation the current Tigray and Amahras areas unless geography, it is nothing except they have strong relation on their linguistic culture and blood that could never avoid from each other. Just this event is bringing such rubbish sentiment on the some ANDM Leadership is very arrogant and ignorant that needs to revise and to put their excuses for the disturbed member or the society on the specific area which is shin fa or metema and other areas of the country. Finally all potential leaders must take-care to have holistic and visionary political commitment to ward the countries development. And finally no one can get any success by creating fake history. we have seen that so many fabricated history on the 35th year ANDM/EPRDF Celebration through media and interview which was not fact on the ground. Keeping the original history and identity need to have on each other. Making fake history is not creating actual development and it is not also usefully for all of the citizens. If you keep these qualities up, I promis to take part next time .